This Product can be purchased through my ETSY Store at www.etsy.com/shop/tdavispainthouse. 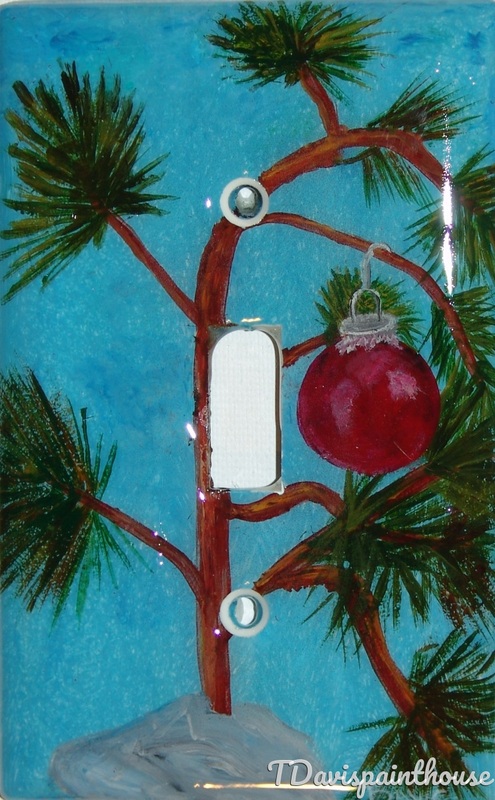 Unique, one of a kind hand painted Holiday light switch wall plate featuring a Charlie Brown Christmas tree. Each plate is made of a nylon plastic material. The design is hand drawn and hand painted with professional grade acrylic paints and sealed with a high gloss Resin finish to ensure durability, protection and a smooth glass-like appearance. Please allow 1-2 weeks studio time for orders. Colors and design may vary slightly as each one is hand painted upon request and my designs are not mass produced. Hardware ^ Screws are included. Cleaning ^ Easy cleaning with a damp microfiber towel.